The consumption of music has morphed rapidly over the past years. Even as someone who presses and collects CDs, I found myself more often on YouTube to sample music, searching for something I was willing to spend $10 on through Amazon. And as we have come to listen differently, music has started to sound different. The idea of the album is on the chopping block as websites make playlists for us, and songs are all available individually. I find it harder every year to discover a complete album of songs that I love, and even artists I have long admired seem to be growing weary. That being said, the albums and songs that were great this year stand high above the rest as some sort of relief. 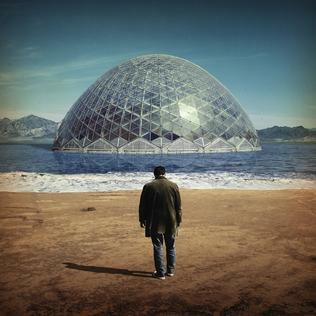 Damien Jurado‘s Brothers and Sisters of the Eternal Son is my nomination for the best album of 2014 from start to finish, a nostalgic reminder of what used to be expected by listeners. This year’s list is instead a compilation of standout tracks from the records I loved most. Posted in Music Blog and tagged Damien Jurado, Songs of the Month, Thom Yorke. Bookmark the permalink. Trackbacks are closed, but you can post a comment.